Where do people turn when they want quality and reliable ammunition? Many turn to Winchester as their first choice of ammunition. Winchester Double X shotgun shells feature copper plated hard shot, Grex buffering, custom blended powders, and fire at high speeds. 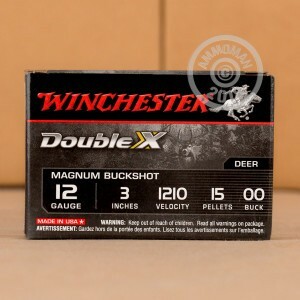 This 00 buck shot ammo is idea for large game hunting, it has excellent knock-down and a stout kick. 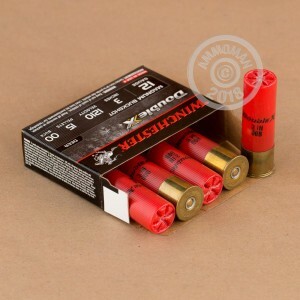 Grab some of this high quality 00 Buckshot today!